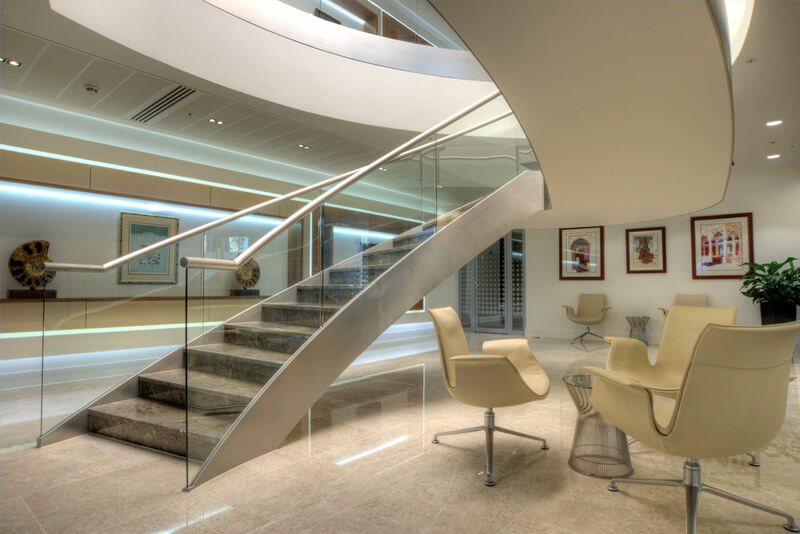 This elegant staircase appears as a smooth ellipse on plan and is well suited to situations that have limited structural openings in the floor. 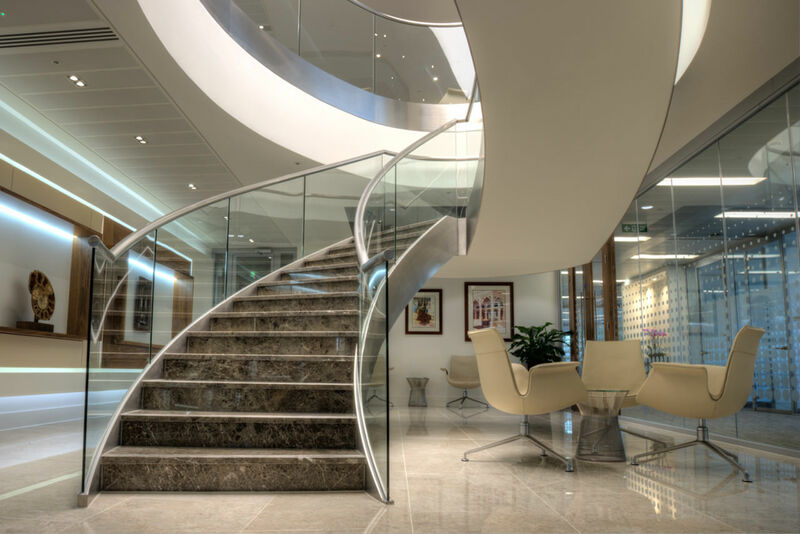 Constructed in satin polished stainless steel with marble treads and risers. 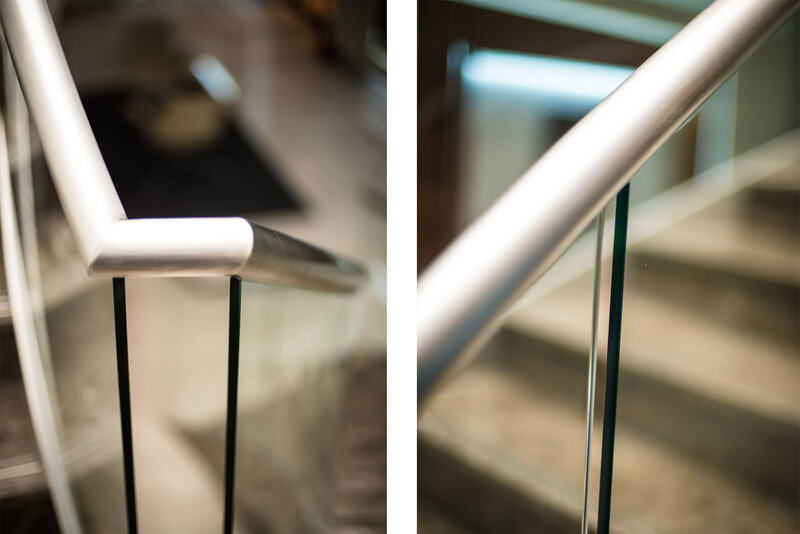 The structural glass balustrading to each side of the flight has a stainless steel handrail slotted over the top edge of the glass to maximise the clear width of the flight. The GRG plaster soffit is seamless with a shadow gap to the steel stringer on each side. 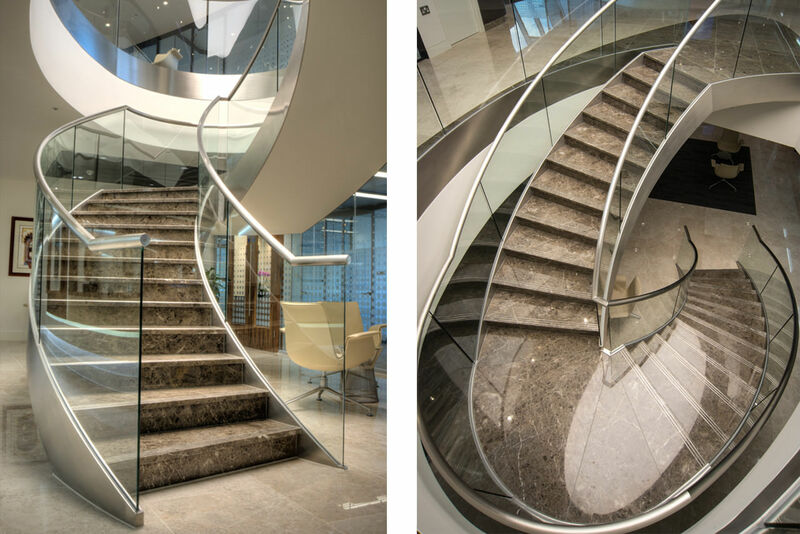 The installation includes matching structural glass balustrading around the stairwell at the upper level.